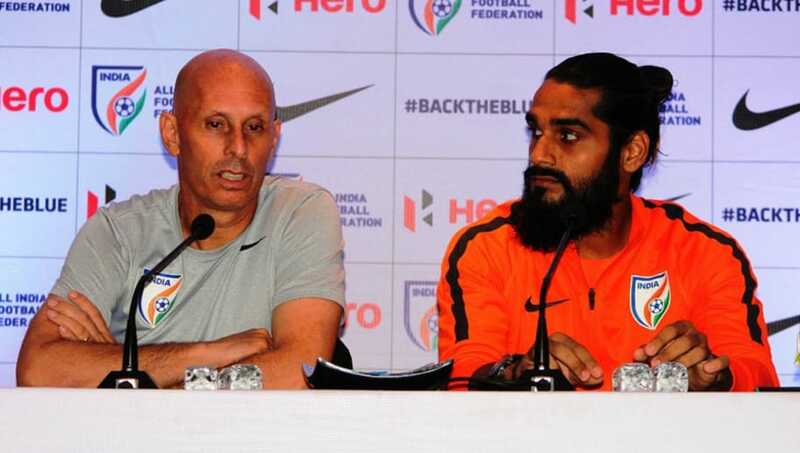 ​​Indian national football team defender Sandesh Jhingan has stated that the former national coach Stephen Constantine has done a remarkable job for Indian football and that the squad was never affected by the criticism which was aimed at the Englishman. Constantine resigned from his position as the coach of India after the Blue Tigers fell to a defeat against Bahrain in the AFC Asian Cup, a loss that knocked them out of the tournament. The English coach, who gave debuts to more than 49 players, including Kerala Blasters defender Sandesh Jhingan, helped India to climb in FIFA rankings from 170 to the top 100, which is a remarkable achievement on its own. However, his journey in Indian football was filled with criticism and Jhingan spoke about the same to ​Goal. Jhingan said, "We had a 13-game unbeaten run, we qualified for the Asian Cup, whatever he has done, the records and stats don't lie. I have massive respect for him. I was on the bench for two years and when he came, he gave me my debut. It was a great era, the four years was a great period, we achieved a lot." He continued, "Whatever we did, we all are proud of it. It has been a memorable journey. I wish him all the success for the future. I rather not have a say on the criticism, it is a peoples' thing. We were not affected by that. Stephen is mentally so strong, he did not get affected by that." India demolished Thailand 4-1 in their first game of the group stages before going down to UAE in a game they dominated. However, an injury-time penalty converted by Bahrain spelt the end of the road for India in the Asian Cup in dramatic fashion.